ESD and static control coatings are ideal for converting storage bins, tools and other surfaces to a static safe condition, saving expensive replacement costs. 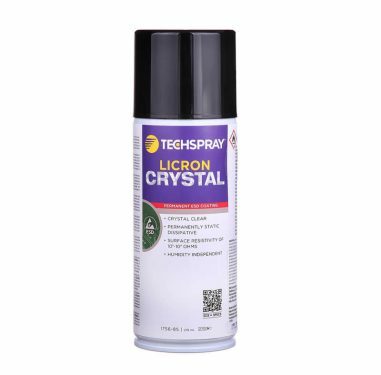 TEC 1756 Licron Crystal is a revolutionary and innovative concept in permanent static dissipative coating. Licron Crystal is a versatile, clear urethane coating that adheres to metal, plastic, and most other surfaces.